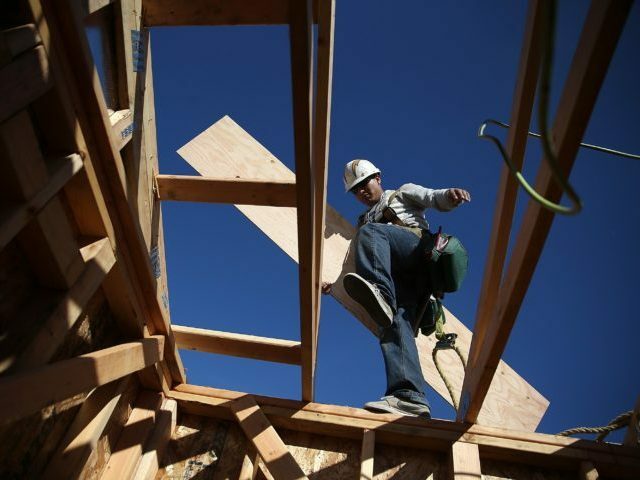 Home building jumped to near an 11-year high in May as the U.S. economy continued to show signs of acceleration. Housing starts ran at a seasonally adjusted annual 1.35 million annual rate in May, the Commerce Department said Tuesday. That exceeded the 1.3 million page expected by economists. This is the fastest annual pace for home builders breaking ground on new construction since 2007. 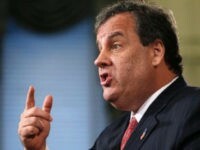 The pace was 5 percent higher than April and 20.3 percent higher than a year ago. The faster pace of construction likely explains most of the increase in construction materials. The price of framing lumber, as measured by the Random Lengths Composite Framing Price index, rose 10 percent in May, prompting the National Association of Home Builders to decry Trump administration tariffs on lumber imported from Canada. But with housing starts up 20.3 percent compared with a year prior, it is more likely the bulk of the increase in price was due to rapidly increasing demand. The big jump in starts also suggests that higher materials costs are not discouraging builders from building. A survey released Monday showed that homebuilder sentiment weakened slightly in June but remained near record highs. The NAHB points out that lumber prices Random Lengths Composite Framing Price index is up 59 percent since the start of 2017. But most of that increase is quite recent. The price of lumber jumped all the way up to $552 per thousand feet in May, from $498 in April. That 10 percent rise mirrors the month earlier rise in housing starts. Lumber tariffs did not, however, increase from April to May. Which indicates that tariffs are likely not the big driver of rising prices. Rather, it is the strength of the economy. The rapid rise in the price of lumber in May is very likely an early indicator that housing starts will come in higher than expected in May. We’ll find out Tuesday if that prediction is right. The blistering pace of home building also indicates that builders are not suffering from a labor shortage despite many complaints that this was holding back the pace of building. The Atlanta Fed’s GDPNow, which estimates GDP to be running at a 4.7 percent annual growth rate according to the most recent economic data, raised its second-quarter real residential investment growth estimate from 0.3 percent to 2.9 percent. That’s a huge increase in the estimated growth rate. Single-family home building, the largest part of the housing market, rose 3.9 percent to a rate of 936,000 units. Permit applications, which are forward indicators of future house building activity, declined to a 1.3 million pace, down 4.6 percent from the prior month. That suggests that home building is likely to keep up its currently fast pace but not accelerate further. Economists estimate that a “normal” level of home construction would be about a one to 1.2 million annualized pace. The drop in permit activity was mostly driven by a decline in apartment building permits, which saw an 8.8 percent decline. Single-family permits were down 2.2 percent, the slowest rate since November. Higher mortgage rates, which have been rising as the Federal Reserve raises its interest rate target, is expected to slow demand for housing and home building.